Please consider adding Timeform.com to your ad blocking software whitelist. We wouldn't want you to miss out on our amazing offers. Over 30 race meetings take place at Leicester every year, including both jumps and Flat racing. In the late 19th century Leicester held some of the most valuable races in Britain, but the number of quality races at the course has reduced since then. The listed King Richard III Stakes run over seven furlongs in April is the biggest race at the course nowadays. Newmarket trainer Hugo Palmer has won recent renewals with the Godolphin-owned Home of The Brave. Statistics for the last 5 seasons. The Leicester round course is a right-handed, oval track, about a mile and three quarters in extent, with a run-in of four and a half furlongs. The straight course, on which all races of up to seven furlongs are run, is mainly downhill to halfway, then rises gradually for over two furlongs, finishing on the level. Although the track is galloping and poses a test of stamina, prominent racers out-perform those that race further back at races up to 1m. Visit the Leicester Racecourse website below for admission prices and tickets. Visit Booking.com below to search for places to stay nearby the Leicester Racecourse. 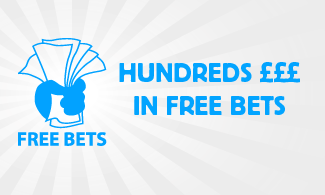 New customers only, place a min £10 bet on any Sportsbook market at odds of at least 1.2 (1/5) and we’ll give you £30 in free bets. Only deposits made using Cards or Paypal will qualify for this promotion. See below for full T&C's.